Upon returning from my first half-marathon, my knees were killing me. Running on the trail, my knees were constantly moving in awkward angles and for the following week, I was in pain. Obviously, my training suffered as a result. I stopped going to the gym for a few days after the race to let my body recoup. But, since I wasn’t allowing myself to get out to exercise I experienced a form of mild depression. After reading one of my brothers posts, he mentioned something called the Post-Race Blues and I definitely experienced that. Before reading it, I believed that it was because I was on my man period. But, now I know it was the post-race blues that I was experiencing. It only lasted a couple of days and once I was able to get back into the gym I felt much better about my situation. Do any of you know how to prepare your knees better for those long races? Have any of you experienced the Post-Race Blues? After finishing the race, I was exhausted, but my knees were definitely hurting me the most. After I got a chance to get my medal and some water, I wanted to make sure that I was at the finish line to cheer on my brother, so I got in position. He told me that his first time for the half marathon was around 2:45. I suspected that he would beat that time, but I did not know that he would beat it by as much as he did. I watched my brother come down the ramp and make his burst towards the finish line as my Mom, Dad and I cheered him on. He looked good and finished with a time of 2:20 crushing his previous best. We huffed and puffed and laid on the grass on the 50 yard line at the Rose Bowl, both exhausted, but thrilled that we did as good as we did. We looked at each other and nodded approvingly, knowing that we had done something special. 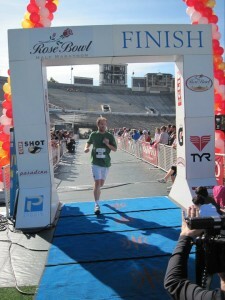 At the 50-yard line of The Rose Bowl, we completed our first race. We are now, officially, The Running Brothers . . . and our journey has only just begun. We are now two weeks out from our Half Marathon and I think I have had ample time to reflex on all the post race happenings. So after I crossed the finish line I run into my dad who was the camera man on the spot to get my across the line celebration. I tried to stand near the water table but my legs were not cooperating so instead I stagered arround the water table where I must have had me about 17 waters. By that time my brother and mom and come to join me. A few hugs, some smiling, some kodax moments and more water I was starting to feel my legs sturdy up. We chated about our times and I find out my brother nearly broke two hours, just amazing for someone who didn’t even know they would be running 13.1 miles that day. He did great and I was only 14 minutes behind him. My brother is training very hard and I knew I would slower but I was only 14 minutes behind him, that felt great. I was able to control my drunk-like stagger but my knees were hurting… BAD. However, I hurt much less than my first half marathon which was a very welcome surprise. My parents headed off to their to the house and Zeb and I enjoyed being on the Rose Bowl playing field for a few minutes. We got to watch a lot more finishers, I looked up and realized if I ran at the same time as my last marathon I would still be running at 2:42. It felt great to finish early. We decided we wanted to get breakfast at a local breakfast joint to finish off our Pasadena experience. I was able to operate my stickshift transmission and we drove down Colorado Street looking for a good local place. After several miles we weren’t having very much luck and turn toward the 210 freeway to head to our local joint Bravo Burger, then we see Tommy’s. I had seen Tommy’s resturantes so I knew it wasn’t a local small business but I had never eaten there. Well if you every want to cancel out the calories burned from a half marathon go to Tommy’s. Chilli Cheese everything. It probably wasn’t the best choice but I needed to get something so we scarfed down the chili cheese burgers and headed home. For the rest of the day getting up and sitting down was rather difficult and we still had to do SuperBowl in a few hours. 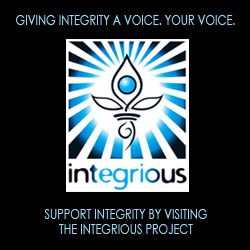 I was attending a gathering across town and was concerned that would involve a lot of getting up and sitting down. As it turns out I stood most of the game and managed to drink tons of water. I tried to eat a lot of fruits because I heard they may stop muscle cramps. Fortunently, I didn’t get any cramps but my knees hurt. Over the next three days, my legs were sore but I was still able to get around. After about a week my knee pain was fading to almost nothing. As for my race experience I thought it would be over once the pain gone but I was wrong. I had a difficult time getting back to training. Although my body didn’t hurt any more I just didn’t feel like training. So I turned to google and started to type in “post race…” and the very first thing that shows up is “post race blues.” I guess what I was feeling was pretty normal. So it has been 2 weeks and I have been pretty relaxed on my training and I was feeling guilty but thats normal apparently. Now that I know this feeling is normal, I feel better and today is the start of my continued training. It was 7:55 AM and our first event together was about to begin. I made sure to thoroughly stretch, but it was slightly cold outside. My parents had left us at the starting line so that they could get in a good position to take pictures of us running along the trail. At 8 AM, the Rose Bowl Half Marathon began, just two hours after I found out that I was going to be running one. The race started off simple enough, until a half a mile into the race when hundreds of runners bottle necked at the entrance to a one person wide trail, immediately bringing us to a walking pace. Eventually, the trail opened up and I was able to run at my own pace. At the three and a half mile mark, I started to feel a pain in my knee . . . this was not good. But, I had committed myself to trying my hardest to run the entire race. At the beginning of our race, a fellow runner told us about this killer hill that we would eventually have to climb, so the entire race I had that hill on my mind. We hit that wall around the 9 mile mark I believe and, although, not the hill she thought it was, I sure thought it was tough. I tried my hardest to run up that hill, but I had to walk for a bit, everyone that I saw did. Eventually, after making it up that hill it was clean running from there . . . for the most part. The trail running was intense, it was full of rocks and pebbles which really did a number on my knees, constantly having to dodge rocks and awkward angles for my feet. The pain did not go away the entire time that I ran. I did not have a single person pass me on the trail for the first 11 miles, at which point I began to slow down. I kept a pretty good pace the up to that point, but at that 11th mile I began to struggle, constantly fighting the urge to walk. I was very close a couple of times, but held strong in my commitment to complete the race, running the entire time. 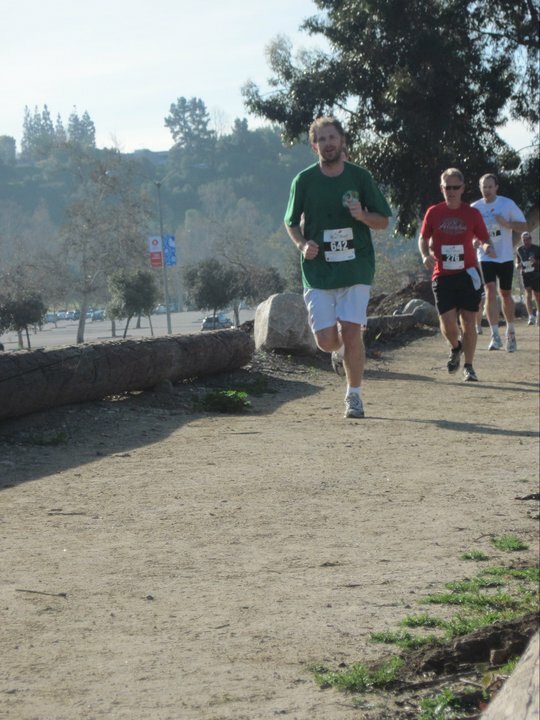 The last two miles were tough and I was thinking that I was going to collapse right after I crossed that finish line. The course was designed to end at the 50 yard line inside the Rose Bowl. Just outside of the Rose Bowl workers were gathered along the line and were cheering each runner as they came in. Although it was nice, these cheers did not seem genuine, but there was one man, who looked liked he had finished the race much earlier than I, who was encouraging people along. He told me that I had one minute left and I felt the tears well up in my eyes. When you get that exhausted, I think emotions become more intense, but I just kept thinking how great it was. Here was a man, who did not know me, ran his own race and still came by to give support, for no other reason than to encourage others. That kind of stuff gets me every time. The last minute of the run was a blur, the second I came down the tunnel onto the field, I saw green shirts beyond the finish line, which I thought were my parents and this spurned me on. Although, I thought I had nothing left in the tank, I turned on the afterburners and sprinted across the finish line. Exhausted and mentally drained, my parents came to congratulate me on a job well done . . . So half way through the race and I was feeling pretty good. I was keeping a good pace and I felt that I could keep going for a while. This particular course was very interesting because you know you always want to stay near the Rose Bowl and it is a very distinguishing landmark. 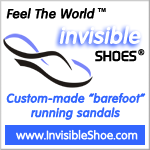 At mile 6 you are right next to where you want to go, its a tuff mind game. As we are running I hear that we are gonna be running by the JET PROPULSION LABORATORY. Okay, let me start this off by saying one thing, I am a nerd. I have always wanted to visit JPL and see some of the cool things they have going on. I try to stay up to date on their recent projects and I know when all the NASA/JPL launches are. A lot of people think the USA only launches from Kennedy Space Center in Cape Canaveral but the US also does a lot of satellite and private space launches from California and both sites get a lot of cooperation from JPL. Nonetheless, I was super excited to see JPL up close for the first time. So that made running away from the finish line a little easier. As I ran past the Bowl we ran by the adjacent golf course with a lot of older golfers. I see that they are all walking, very few were in a cart. Then I start to notice a ton of non racers who were walking or biking or running. The area around the Rose Bowl is for very active folks. So I tried to look like I fit in and have good runners form. By mile 7 we are heading onto the trails again. A few step hills and we round a corner with no where to go but up and up in a hurry. I saw a whole line of people line of people struggling to walk up what I thought was a cliff and I joined in right behind them. I struggled up it but the fact that I want to go slow because of everyone else sure was nice. Just as I started to reach the top the race leader was coming down the very same hill and he was flying. So I continue on in anticipation of finally seeing JPL. The course took us by a natural wetlands area with a frisbee golf course meandering through it. We started to get very close to some buildings and I started to see signs that actually said JPL and “Do not enter” and “Trespassers will be shot” all the stuff that let me know I was getting close. Running up to the security guarded gate I am giddy with excitement and right as I get to the gate one of the very friendly race volunteers kindly tells me to make sharp left and avoid JPL all together. I didn’t get my first JPL visit but the good news was that we were heading back toward the Rose Bowl. This was mile 8 and my legs were starting to feel it. My goal was to make it past 9 miles without walking. So making mile 9 and one step would have been a success. But mile 9 came and went and I felt like I had enough to make it to mile 10. Then if i made it to double digits why not make it the whole dang thing. I made it past a small clearing and sweet relief, I could see the Rose Bowl again. My stride had shortened dramatically and it was much slower but I was still running at mile 12. I made the final turn thanked some volunteers and a spectator told me “one minute left,” and I was still running. I have seen a few races in my days and I always think the guy that sprints in the end when everyone else is exhausted is kind of jerk. But when I knew there was only one minute left I picked up the pace considerably and I was that jerk. I ran down the ramp and entered the Rose Bowl like tons of great athletes. In a near olympic sprint I ran by the cheering masses ( all the other already finished runners) and raised my arms in celebration. A clock to the side of the finish line read 2:20 something, but to be honest I couldn’t read it I was running so fast it was only a blur. 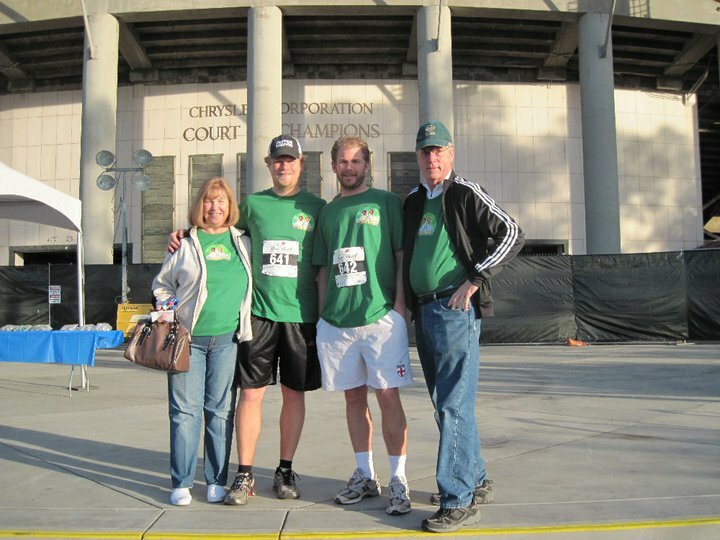 My dad was at the finish line with the camera ready and shortly after my mom and brother joined me. I was tired and the volunteers needed to collect my timing chip. A great race in 2 hour and 20 minutes but the whole experience was gonna last a few days if not weeks, I was gonna be really sore, I already knew that. Stay tuned to hear bad it was. 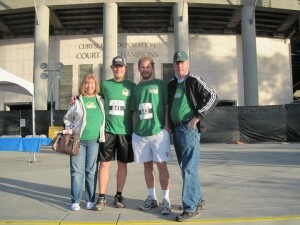 My brother surprised me with a trip to the Rose Bowl where we were going to run a Half-Marathon. I had never done a Half-Marathon before, and not only that, I was going to do it with no sleep and not having prepared for one. We made it to the Rose Bowl around 7 AM, which gave us an hour to get ourself situated and mentally prepared for the race . . . in other words, it gave us an hour to goof around. Around 7:30, my brother and I were in for another big surprise. My parents, unknown to my brother and I, showed up to support us. 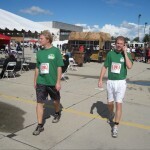 Not only that, but they had some Running Brothers T-shirts that they made themselves, which looked exactly like ours. Having them there to support us was really great, not only that, but a lot of the racers that were there that day were commenting on how cool our shirts were. And . . . I must admit . . . they are pretty awesome. It was nearing 8 AM and we were about to do our first event together, a complete surprise to me . . .
Stay Tuned for Part #3 . . .